He acts like an inventor and thinks like an investor. In the Musk mythology, this is an important fact, seldom recognized. First rule of innovation, avoid crowds. In 2003, two engineers and an angel investor reached back to 1888 to borrow Nikola Tesla’s name and copy his engine design. After that, they just invented stuff. 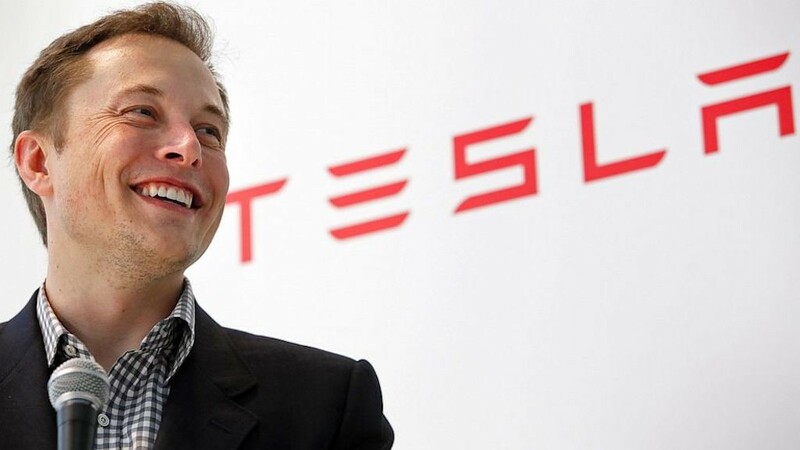 Tesla Motors has been headed by Elon Musk, the company’s first angel investor, since the day he fired his co-founder and became CEO in 2007. It was his third major startup after Zip2 and Paypal. As a former graduate of Wharton and a Stanford Ph.D. candidate, he acts like an inventor and thinks like an investor. In the Musk mythology, this is an important but seldom recognized fact. (In full disclosure, after he sold Zip2, I followed Musk as CEO). With the benefit of a dual personality, part dreamer, part financier, he now runs the most valuable American automobile company (not including his other pursuits, SolarCity and SpaceX). One could argue both traits can be in conflict depending on the circumstance. When he was pushed out of Paypal, the dreamer was dominant. But when he nearly ran out of funding for Tesla on several occasions, the venture capital instinct kicked in. It is why he searched for a more cost effective way to grow a small startup into a well known iconic brand. Detroit and its ad agencies are convinced the time to spend big bucks on advertising is when a company is unknown because the consumer is still curious. They reflexively hit the advertising button as that’s the way they’ve been brought up. Until Musk came along. In fact, he was banking on exactly that mindset when he developed a “no advertising, no dealer network” strategy. The brilliance of the Musk story will have many chapters. But the one that taught the world how to launch iconic brands “on the cheap” is a more significant disruptor than many realize. If you want an insight into why Musk does things so contrary to accepted practice, you need to first understand how venture capital operates. The success of a hi tech chief executive comes down to what you’ve spent your money on and does it show results? Second, start thinking like a venture capitalist. The first outside money a startup raises — called the angel round — lasts only 12–18 months. For most early stage companies, the choice of how to spend it is consequential as they have only enough to build a product or an image, not both. When you choose image over product, Silicon Valley calls it ‘vaporware’. That is why you never want to take a job as head of marketing for a startup. The goal of a startup chief executive is to choose the most effective way to spend the money from the time it’s raised until the company runs out of cash, and has to raise a second round. Because the new investors are only interested in one thing, to paraphrase Cuba Gooding, ‘show me the results’. No one in automotive history ever even remotely considered ‘marketing lite’ could be applied to the car business. There are two reasons why Musk had such clarity. First, he wasn’t bound by past practice as a typical Detroit brand manager would be — with only the past as a guide to brand strategy. Musk saw he was looking at the future in which the key assets were not promotion or a dealer network, but product quality and customer enthusiasm. While doing above, also provide zero emission electric power generation options. Third, spend more time talking to customers. The problem every venture investor worries about is can the company scale? Another way to think about it, grow without a high ‘customer acquisition cost’? That’s not a big deal if you run a small winery or a cafe in Sausalito and you’re only interested in enough profit to pay the rent. But a hi tech firm with hundreds of millions in funding needs millions of users so it can pay back the capital and then some. Think of Facebook. If they paid $100 per user during their formative years, as many traditional media companies do, how could they grow to 2 billion users? They would have never made it past the C round and Mark Zuckerberg would be just another Harvard dropout. The need to scale with precious resources for promotion forces startups to find efficient ways to market. Google search terms and Facebook ads are examples of markets that traditional advertisers found more effective, measurable, and more targeted than a television campaign. Market strategy is now only about ROI. Long gone are the days budgets were padded so that a brand manager could rub shoulders on the set with Hollywood directors. Elon Musk found the answer. Both halves are wasted. Instead of advertising, Musk’s digital instincts led him to build a product that compelled customers to advertise for him, research for him, and spread the word contagiously, at no charge. He built the product, opened the stores, the customers came, and they posted. And they posted. And they posted. In taking the path less traveled by, he changed automotive and marketing history. 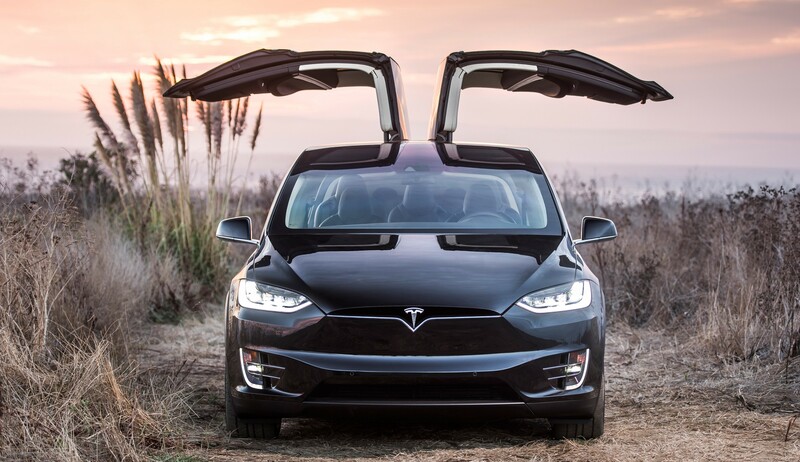 As a blogger wrote, Tesla does not spend millions of dollars in a traditional ad campaign. They let you and I discuss it, rave about it, hate on it, or rejoice in the spirit of going electric in a Tesla, be the catalyst to a viral and brilliant marketing campaign. At the end of the day, Tesla advertising is free. The result was that by 2015, advertising spending at Tesla was zero. At the same time GM spent over $5 billion, a sum that represented more than half their annual profit, according to Mediakix. To make the contrast even more stark, Telsa’s market cap was higher than GM or Ford or any other American automobile company. Musk knew the way consumers fell in love with brands was changing. Part of this is attributed to Google’s epiphany that “search” answers consumer questions more powerfully than a glossy image, and it had far reaching consequences. Suddenly, advertising seemed old fashioned and slow moving. This led him to realize he could shift resources away from Madison Avenue without disturbing the business model. Then he discovered what really moved the consumer. The techies call it ‘user experience’ or UX. UX is more than the product. 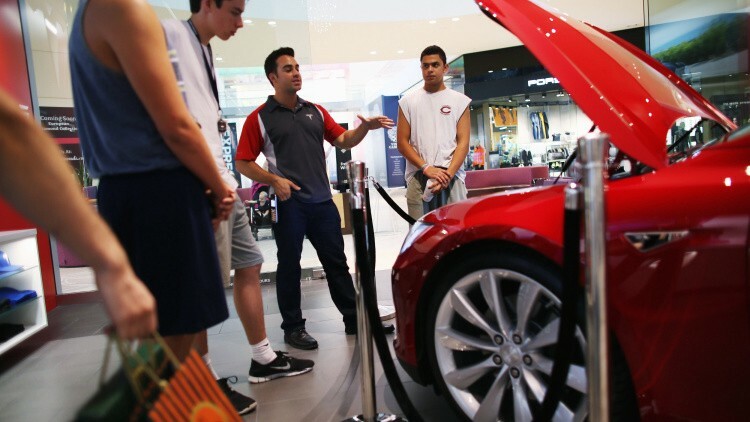 For Tesla, it includes putting stores in malls where people could shop for the cars as easily as if they were sunglasses. Sales people weren’t commissioned reps but customer service gurus who seemed not to care how many times you came to look at the vehicle. They made test driving easy. They made buying a car easy even if you live in Arizona or Texas where cars can only be sold through a dealership. These are factors in the experience that can no longer be separated from the product, and for Tesla, they are part of the marketing value. When the Tesla was designed, every feature and metric matched up to something the consumer loved not just wanted. That made it something customers wanted to brag about, as if it were designed for them. Fourth, once your bright idea works, get ready for everyone to follow. While Tesla was moving ahead of the competition without spending a dime, a Midwestern giant marketing machine was watching closely. They recognized this was a game changer that would influence everything they did going forward. Only it wasn’t a competitor in Detroit. These guys were in Cincinnati. 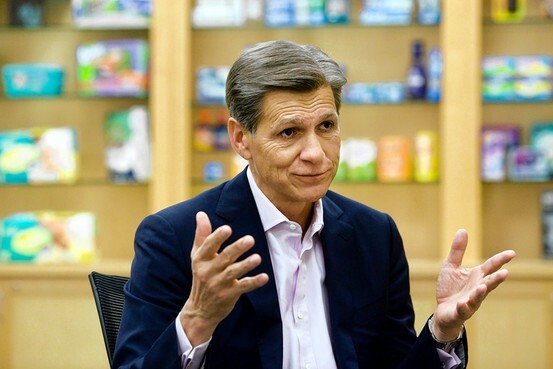 In 2014, Proctor and Gamble announced they needed to become a more nimble company to speed up growth. The strategy they chose was to drop over half their brands. But the way to interpret that is they were dropping half their brand spending. Soap was packaged two centuries ago in dense loaves sold by the slice, much like you’ll find today in upscale malls selling brands like Lush Cake Soap. That was how P&G fell upon the value of brand differentiation. The trick that made Ivory worth knowing about was it would float. Other soaps simply sank to the bottom. 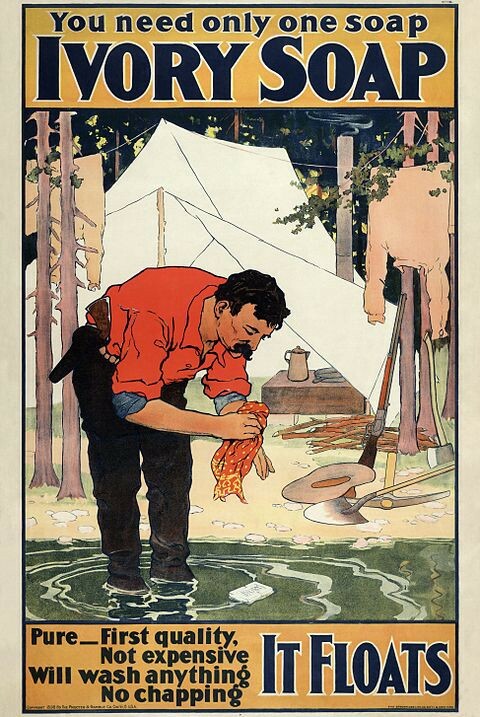 Why this was important rests on a fact most may not realize, people in the 1800’s took baths in rivers and streams. If your soap floats to the top while scrubbing in a stream, it is a really big deal. But the only way to get the word out was advertising, first in print and later on national television. This was partially due to the country’s enormous geography and distribution. Later, due to the mass reach of television, there was still nothing as efficient. This continued to exist until the digital era when media and information habits changed so significantly. That was when marketers first began to think the old ways weren’t working so well. Then they saw Tesla skip marketing altogether. Precision targeting, user-generated communication, amplification of earned media is both more efficient and more effective than any medium P&G worked with in the past. Fifth, customer experience counts more than marketing and more than technology. A recent New Yorker column noted the book “Absolute Value,” by Itamar Simonson, a marketing professor at Stanford, and Emanuel Rosen, a former software executive, made the point that the rise of branding was based on a world that was too far apart, too uninformed, and too busy to research for the best product. So marketers liked to believe their advertising was like a neighborly chat over the backyard fence. You were given a few good ideas and nice images so you would remember what to buy. My father drove Oldsmobile cars all his life, although he never had anything very good to say about them. The switching costs were just too hard for him to even contemplate. I attribute this to his not wanting to buy a different clunker and then have to listen to Oldsmobile commercials. If you wanted to create a more Madison Avenue perfect world, dad was it. Today, a thoughtful consumer doesn’t read Consumer Reports or a review in Wired Magazine. They simply turn to Yelp or Amazon for a world of brand switching encouragement or confirmation. Digital rankings have the power, and distributed via social media and the internet, the average consumer is practically a consumer goods genius. His comment on the ‘consumer experience’ sounds suspiciously like something Elon Musk would say. One result of the change in focus to digital and analytical marketing is the death knell of anything ‘traditional’. Everyone is trying to get into the act of digital marketing. Not all are wholesome as Ivory Soap. Sixth, nothing will be easy going forward. The bad news is everyone is in the act of digital marketing, and not all of them are savory, wholesome, you might say, as Ivory Soap. Online is driving consumers but it is also driving them away. There are two main challenges as marketers move into digital, neither of them will be easy to solve. If you are a great airline brand that flies 5,000 flights and a half million passengers per day safely and without incident, you might think you’re doing a damn fine job. Not many industries can claim that kind of error rate in their operations. But if on one of a half million flights, while following rules set by the FAA and local law enforcement, you remove a passenger and it is caught on video, you’re toast. 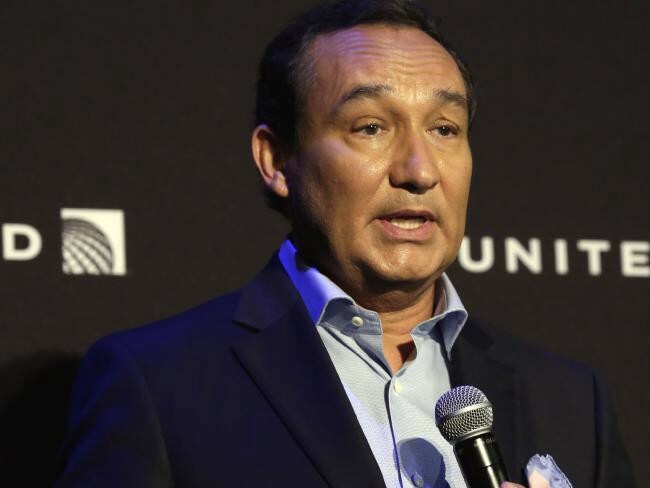 Everyone knows the story of Dr. Dao and Oscar Munoz, United’s CEO and his ham fisted response to the altercation. The media uproar and social media trolling were historic. If you’re a marketer, it isn’t enough to say the airline handled things poorly, which they certainly did. Now every company with any consumer savvy knows if you serve the public, this could happen to you. Too many customers with too many attitudes and an anti-business and anti-establishment angst is waiting for any company dealing with the public to make one mistake. One day people are on line waiting to buy your product, the next day you’re a pariah. For major consumer brands, this is a nightmare. That is why we can’t afford to simply laugh at United’s example (Delta had the same thing happen, without the benefit of a video, the following week). The economic value of a brand is dependent on how vulnerable you are on social media. That is like saying the house you bought is only as valuable as the quality of the local fire department. Digital reviews aren’t legal tender, they are what your enemies or fans have to say. The incentive for the enemy to say something bad is much greater than for your fans to say good things. Therein lies the problem. Then, reviews remain forever in the digital newsfeed. 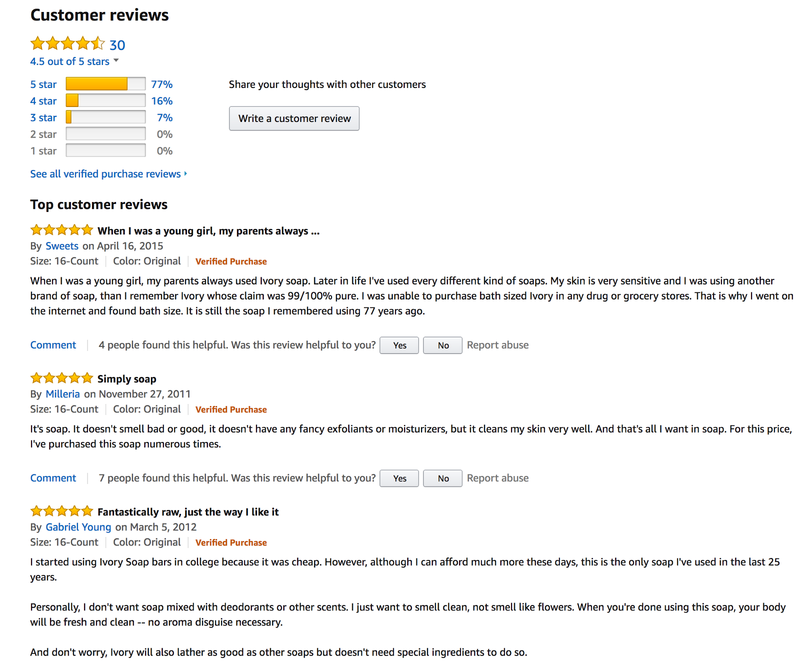 There aren’t many lousy reviews of Ivory Soap. But that’s not true of other products. In the era of Amazon, as a New York Post story noted, if the box you ship doesn’t contain the right screws, your brand is reviewed and then screwed. If the waiter drops a spoon on the floor, your brand review is on the floor. What does that mean for marketers? It means they are pulling back on digital until this is solved. Those aren’t encouraging words. The online space may become the primary builder of brands, but it also building fear that is driving away marketers. Some consumers dislike brands that preach American values and don’t trust global companies to behave responsibly. Seventh, consumers are choosing sides in the ‘game of brands’. The impact of social media on consumers has turned ordinary shoppers into highly idiosyncratic and independent thinkers. This has transformed targeted buyer demographics into cult like gatherings that fit into a larger frameworks that are brand independent, brand agnostic, brand loyal, or brand repulsed. Now, it’s not even about your brand, but whether someone likes the idea of a brand at all. The second-largest segment, at 23%, consisted of consumers who are less discerning about, but more ardent in their admiration of, transnational companies. 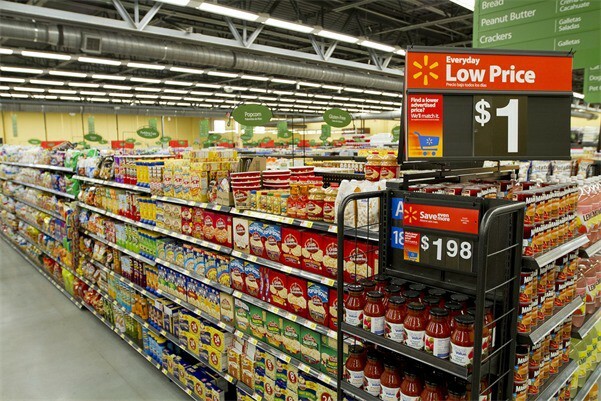 They see global brands as quality products and readily buy into the myths they author. They aren’t nearly as concerned with those companies’ social responsibilities as are the global citizens. Thirteen percent of consumers are skeptical that transnational companies deliver higher quality goods. They dislike brands that preach American values and don’t trust global companies to behave responsibly. Their brand preferences indicate that they try to avoid doing business with transnational firms. The antiglobals’ numbers are relatively high in the UK and China and relatively low in Egypt and South Africa. Such consumers don’t base purchase decisions on a brand’s global attributes. Instead, they evaluate a global product by the same criteria they use to judge local brands and don’t regard its global nature as meriting special consideration. While global agnostics typically number around 8% of the population, there’s a higher percentage of them in the United States and South Africa and a relatively low percentage in Japan, Indonesia, China, and Turkey. There is even a market for non-brands, more than generics which are closer to knock offs, but brands that eschew branding altogether in an attempt to distinguish themselves. Sort of like someone wearing a non-designer label to a black tie affair to show sympathy with the downtrodden. A new company, Brandless, is leading the charge here. They see their mission as bringing great products, sustainable, transparent, community driven values for $3 per product. Whether the product can fight Amazon/Whole Foods and other categories remains to be seen. But it is an entry into an arena that is tired of branded goods. Where does this leave the rest of us? 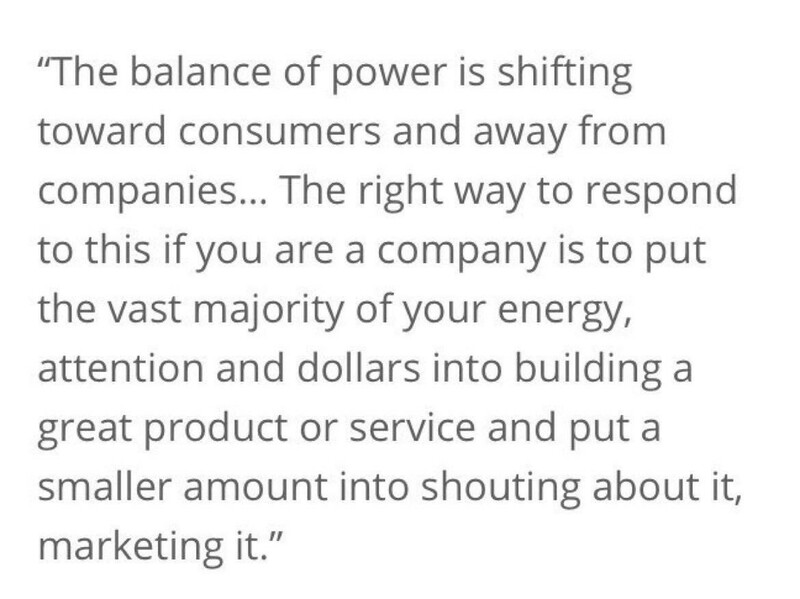 Marketing has changed fundamentally and forever. While big budget, Super Bowl type advertising will always be a factor, the consumer has abandoned the playing field. They have just stopped caring about ads in the same way they seem to have stopped caring about network news, and old reruns. Journalism is already in decline, this could push it over the cliff. Will Facebook and Twitter step in to fill the gap? They are trying to with numerous quality and anti-trolling projects to their credit. But the media landscape will change because viewership by the consumer is the venture capitalist of entertainment and news. For someone like Tesla’s Musk, that is a good thing. He not only knows how to manipulate new media, he knows how to build brands without spending a cent on traditional marketing, which is why he’s P&G’s marketing guru. 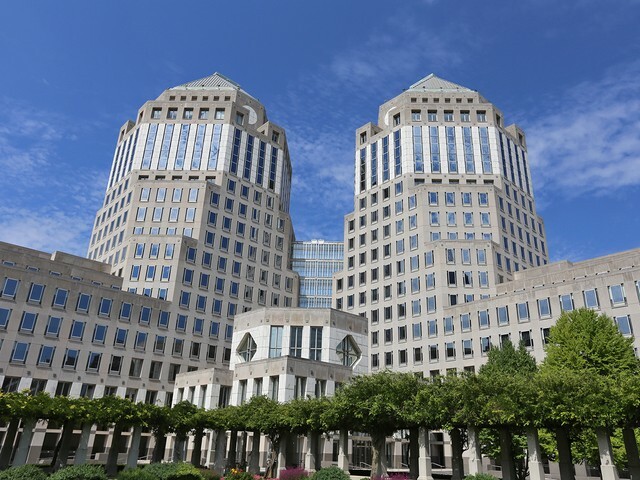 For the rest of us watching at home, as P&G’s Pritchard said, “we will never master these technologies, we will be forever on our heels.” At least we can take some comfort the best branding minds in the world gathered together in Cincinnati feel as confused as we do.